Most of us feel uncomfortable in situations where we have to tell the truth. The easier option is to avoid it. What we are actually trying to do here is protect ourselves from the dis-comfort of our own feelings of how we might feel when they react. So we believe that withholding the truth is helping them. Wouldn’t you rather know the truth? Telling the truth is so valuable yet hard for us to do when we feel uncomfortable. Instead, we hold back our own true feelings to the detriment of ourselves. We ‘water-down’ our response or avoid the situation altogether and allow the hurting to become internalised. The longer you avoid the situation more energy is used to withhold the truth, keep up the act and pretend that everything is okay. This is hard work to maintain. Withholding doesn’t work because the truth will always find a way out eventually. The longer you avoid the situation the more pain you will create for everyone involved. I know this from experience in my own life. It actually makes things worse! Integrity - You get to keep your own! Being truthful is an important habit to develop if you want to live on purpose and be successful. I can’t make the uncomfortable feelings go away and I can’t guarantee a positive reaction from the other person. 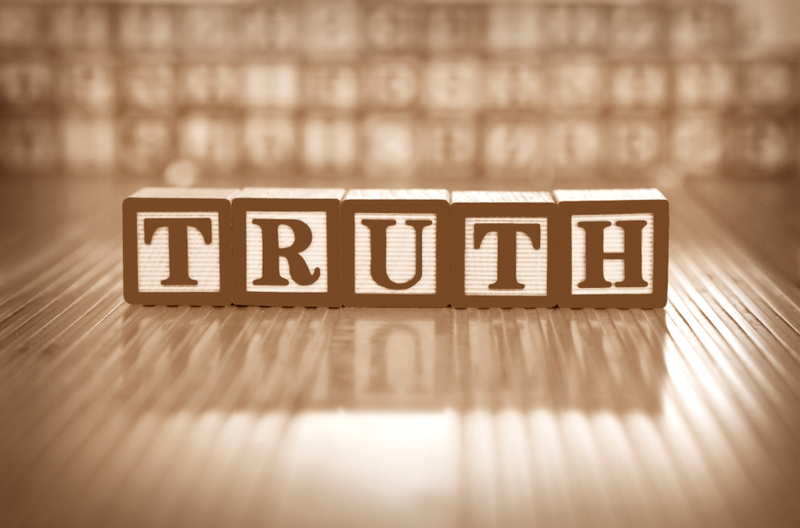 But I know that being truthful is the right thing to do if you want to lead a successful and authentic life. I agree. While the truth maybe uncomfortable initially, there is no substitute for it. Great post Elaine. Insightful as always, thank you. OMG. This is so good. I made the resolution not too long ago to stop apologizing for “crimes and misdemeanors” I never remembered committing to a certain family member. It has been hard, after my teaching this person for decades that I would be her emotional floor mat, not to continue playing that game. But I wouldn’t trade the confidence I’ve gained for anything in this world. Thanks, my friend, for the reminder of how the truth really does set us free! Thanks so much everyone for your comments here this is such hard thing for people to do sometimes.I know about this from person experience too in an unhealthy relationship where the truth was left unsaid for a long time because of fear. Yes I mean here my truth. This could be many things such as I don’t want to do something,something is not working for me, I feel uncomfortable or feedback from my observations and perceptions of a situation.For me it’s about honesty and integrity.It’s about getting things in the open to talk about that may feel uncomfortable, but need to be said to help move things forward or to make a change. I would position it as how I see the situation and what I believe to be true from what I know and understand. I’m working from my truth.I’m being authentic and not covering up what I really want to say. I would say it with consideration and compassion for the other person. I guess it would always depend on the situation – though if by not saying something, I’m feeling uncomfortable and risk being untruthful to the other person then I would look to be honest and open even if uninvited. I believe that successful people get around to telling the truth quicker. The longer things are left unsaid the ‘sticker’ and unhealthy things can become. The big learn for me was around telling the truth faster and not being afraid of the consequences so that things can be dealt with from a basis in reality – the way things are and not from a place of avoidance. Avoidance often leads to a breakdown in communication. Whereas sharing the truth allows discussion. Important information is aired, shared and acted upon. I think you’ve hit this on the head. Truth can very often be from one’s own perspective, so communication alongside this allows it to be aired from everybodys perspective. I too have found this from past relationships. Thankfully I have found that honesty, truth and communication have allowed me to have a relationship far stronger and deeper than before. It’s better “out there” and talked about than not.